Dezeen is giving away five copies of Upgrade: Home Extensions, Alterations and Refurbishments, a book exploring architectural and design concepts that repurpose and reinforce existing structures. This competition is now closed. Congratulations to the winners, which are Jonathan Lau from Hong Kong, Patrick Dalton from Brighton, UK, René Roosjen from Alkmaar, the Netherlands, Pieter De Coster from Aalst, Belgium and Young Bin Ahn from Berlin, Germany. Through extensions, refurbishments or complete rebuilds, Gestalten's book showcases how architecture can be recycled and celebrated – with each home revealing their original history. "It is these buildings that are particularly fascinating in today's reuse-recycle-reduce culture," said architectural writer and lecturer, Tim Abrahams in the introduction to Upgrade. "And yet, we often hear that we live in a time that has no respect for the past: that ours is an era that disregards the architectural qualities of previous eras in an often flagrant way," he continued. The homes illustrated in Upgrade contest this idea, demonstrating architecture firms' increasing attention to the opportunities and creative possibilities provided by existing structures. "One might say we are living in a golden era, where architects are responding to a broad change in attitude toward our built history," writes Abrahams. "We are realising that domestic buildings are as much a part of our heritage as palaces or museums," he continued. The book maps out the relationships between new and old materials, providing images of the projects before and after construction while creating a visual guide to the multiple architectural interventions across the globe. In Asdfg Arkitekten's conversion of a 19th-century miller's house in Berlin into a modern family home, the architects removed most of the partition walls to provide interconnected rooms separated only by an original brick wall at the centre of the house. 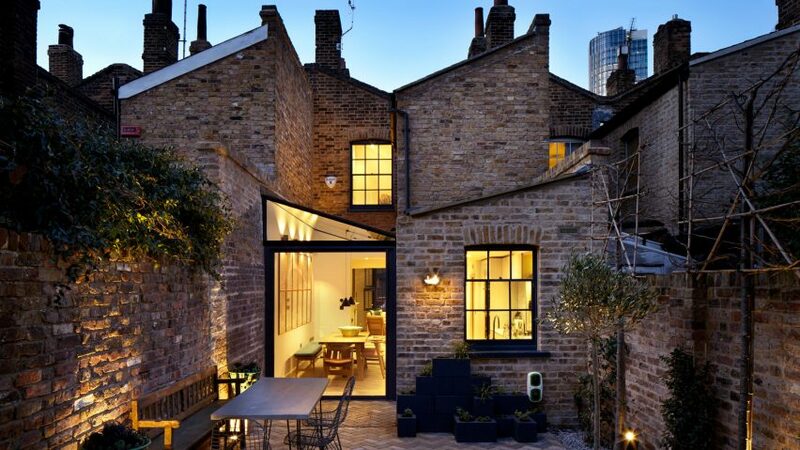 Also featured, is London-based Fraher Architects' simple extension to a dilapidated early 19th-century house in Lambeth, which had been unoccupied for ten years. The modest interventions included a sloping glass roof, creating a bright new dining area that opens onto a garden patio. Another dovecote adaptation by Portuguese studio AZO Sequeira Arquitectos Associados, shows the relationship between stone and wood in the reimagined building, which was converted into a garden playroom with a shower area for the client's nearby swimming pool. Amsterdam-based Standard Studio transformed a 200-year-old stable into an off-grid showroom and guesthouse for the owners of an interior design shop in Ibiza. Authentic cedar wood beams and ancient stone walls complement the local materials, including concrete and chalk-plastering, used by the studio for the renovation. Gestalten publishes visual books, with a particular focus on graphic design; architecture; visual culture; design & fashion; escapism; food & beverages; travel, and contemporary art. Upgrade: Home Extensions, Alterations and Refurbishments was released earlier this year in May 2017, and is available to purchase online for £40 ($50). All images are courtesy of Gestalten.